StarKist Co., is a food company focused on healthy, shelf-stable seafood products. Deemed America’s favorite tuna, StarKist’s® charismatic mascot, Charlie® the Tuna, swam into the hearts of tuna fans in 1961 and is still a favorite today. Maintaining Charlie’s popularity over time involves strategic marketing campaigns that build on his fun-loving character. StarKist’s success relies upon consistent messaging across all channels, and the ability to evolve the brand in today’s progressive consumer market. StarKist also recognizes the importance of establishing a strong emotional connection with target audiences by bringing an authentic message to the forefront of all campaigns. 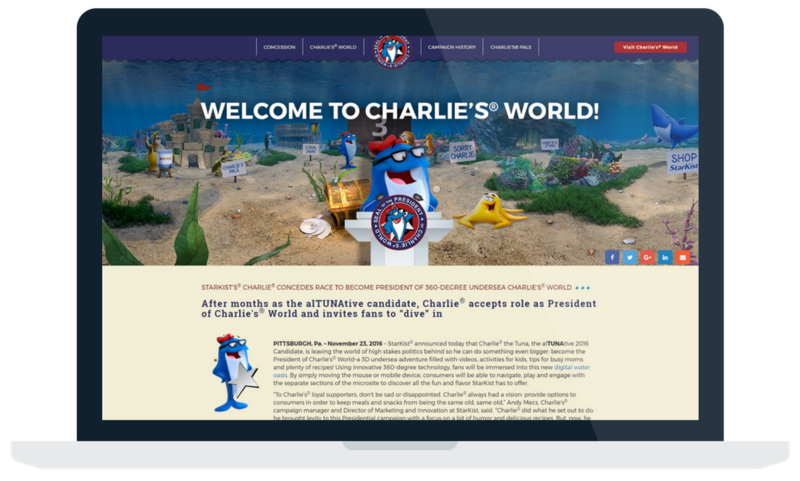 The StarKist team sought to create a campaign using current events to connect Charlie (and StarKist) with a broad consumer audience, while epitomizing his best-loved traits for maximum appeal. Capitalizing on the volume of conversation around the U.S. Presidential election, StarKist, together with social agency Gatesman, launched a lighthearted campaign to promote Charlie the Tuna’s run for the presidency. “Charlie and StarKist are known for their nostalgia and fun, engaging essence, so the campaign was a way to bring that to life. Even though the election was serious and intense, we felt it was important to tap into a real-time event while also bringing our audience some levity,” said Desiree Bartoe, PAVP, Group Account Director, PR and Social Media, Gatesman. The company created a multiphase campaign in order to generate buzz, engage its current social audience and grow the StarKist community as a whole. 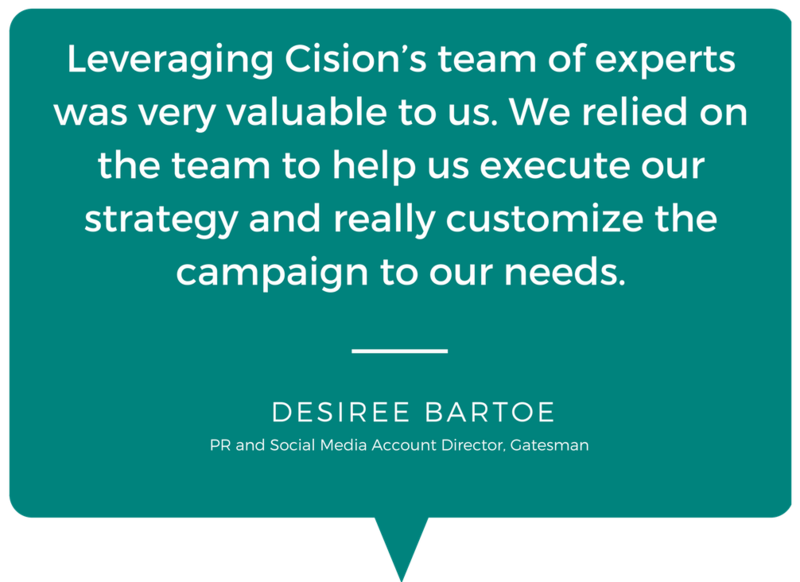 To launch this campaign, StarKist leveraged Cision Distribution by PR Newswire’s Campaign Microsite, a dynamic web page that can be updated with new content as the campaign progresses. The Campaign Microsite product also includes tools to increase views, collect lead information, and drive audiences to take action. The Campaign Microsite served as an initial distribution channel for each phase of the campaign, as well as a content hub for information ranging from infographics to images and video that StarKist audiences (consumers, new potential audiences, and media) could engage with. While the content continually refreshed, the overall branding of the Campaign Microsite remained the same. Each update received national wire distribution, Times Square photo distribution, SocialPost Tweet and Online Video Distribution. Special attention was paid to the mobile version of StarKist’s microsite to ensure it was perfect on all screen sizes.